Evanston/Skokie School District 65 and Evanston Township High School District 202 board members discuss a joint district report on the achievement gap at a Monday meeting. Members expressed concern that some of the measurements were too broad or unuseful. Board members from Evanston’s two school districts decided Monday they needed additional information before taking action on the achievement gap among students. Representatives from Evanston/Skokie School District 65 and Evanston Township High School District 202 met at the Joseph E. Hill Education Center for the first combined meeting of the year. At the meeting, board members discussed information from the 2017-18 Superintendents’ Joint Achievement Report, which included possible indicators to determine if minority students are on track for college and careers. However, board members said the report did not include enough information on students who are not succeeding. The data, they said, needs to further explore whether students are staying — rather than just enrolling — in college, where students live in the district, students’ age of exposure to postsecondary institutions, and struggling students’ emotional and social experiences. In 2016, District 65 had a 48 percent composite achievement gap between black and white students, and a 41 percent gap between Hispanic and white students, according to the Illinois Report Card. As of spring 2015, 20 percent of black ETHS students met college readiness benchmarks compared to 86 percent of white students, according to the superintendent’s 2015-16 joint achievement report. The joint report contained exploratory data that sought to predict student success in high school based on certain eighth grade benchmarks, and success in college based on high school benchmarks. Drawing from the 2017 Illinois State Board of Education report on college readiness, the district report looked at eighth grade students’ standardized test scores and high school students’ grade point averages, Advanced Placement class enrollment and ACT scores. But board members said they found some of the measurements too broad and unuseful. Officials said they hope more conclusive data will come out of a partnership between Evanston school districts and Northwestern, known as the Northwestern-Evanston Education Research Alliance. Through the partnership, NU will provide predictive models and a library of data that districts can use to directly address their achievement gap. This will create concrete models to predict a student’s college readiness, said Peter Godard, District 65’s chief officer of research, accountability and data. Godard said NU researchers will start working within the next month. They will create “on-track” indicators that go beyond test scores, which educators can use to help historically marginalized students. 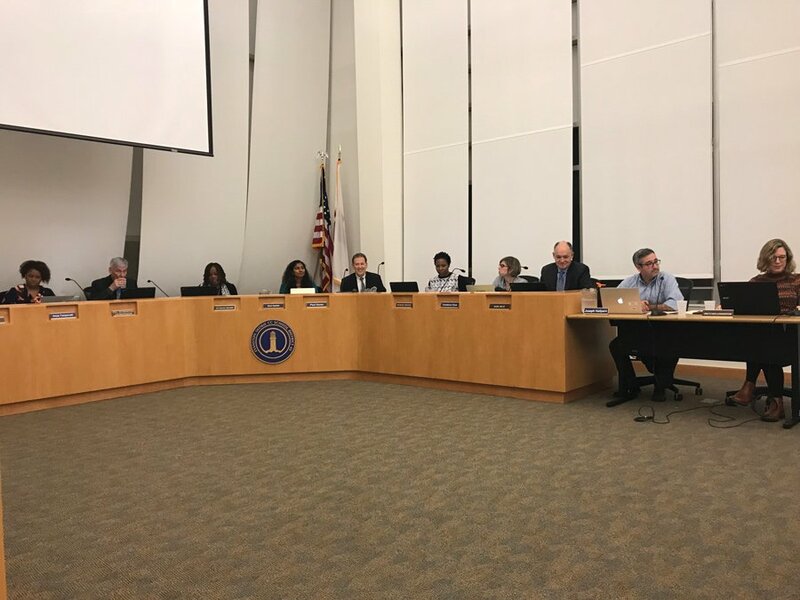 District 65 board vice president Anya Tanyavutti said she has personally seen how institutions are not set up to allow black and Latinx students to succeed. She said some minority students do achieve at “very high levels” in spite of current assessment methods that do not acknowledge “their intelligence” and are not easy for them to access. District 202 board member Gretchen Livingston said the board must start communicating with families about how the district plans to achieve its goals, not just how it will develop a process. The board members’ call for more action and better data echoes community concerns that not enough is being done to address the achievement gap. Earlier Monday, the Organization for Positive Action and Leadership held a rally outside the location of the school board meeting. Parents and concerned community activists demanded the board act with more urgency. District 65 superintendent Paul Goren said at the joint meeting that as a white leader in the district, he “fears” that he has not been able to communicate the full depth of his ideas on these issues. “We still have much work to do and know that we cannot stop until we improve outcomes significantly for black students and Latino students,” Goren said.